"Brilliant! Before I had to use both the front and the back brake just to pull up, now I can stop with just two fingers! I was thinking about fitting a different caliper and disc, but don’t need to bother now because the brakes are absolutely brilliant... an absolute transformation." 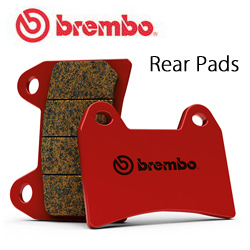 !braking, brakepads, bremob, 1997, 1998, 1999, 2000, 2001, 2002, 2003, 2004, 2005, 2006, 2007, 2008, 2009, 2010, 2011, 2012, 2013, 2014, 2015, 2016, 2017, 2018, 2019, 2020, 97, 98, 99, 00, 01, 02, 03, 04, 05, 06, 07, 08, 09, 10, 11, 12, 13, 14, 15, 16, 17, 18, 19, 20! 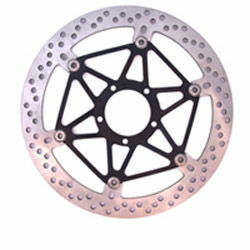 !quote, braking, brakepads, bremob, 1992, 1993, 1994, 1995, 1996, 1997, 1998, 1999, 2000, 2001, 2002, 2003, 2004, 2005, 2006, 2007, 2008, 2009, 2010, 2011, 2012, 2013, 2014, 2015, 2016, 2017, 2018, 2019, 2020, 92, 93, 94, 95, 96, 97, 98, 99, 00, 01, 02, 03, 04, 05, 06, 07, 08, 09, 10, 11, 12, 13, 14, 15, 16, 17, 18, 19, 20! Just to let you know that the brembo brake pads work very well on my triumph tiger 1050,much better than the ebb's I tried which had no bite and required a very firm pull on the lever, and thank you for recommending them. "Experience vastly improved braking performance, total elimination of the irritating noise issue and an emptying of the wallet. Expensive? Yes. Worth the money? Hell, yes! …the increased braking performance and no 'squeal' is worth it in my opinion." !braking, brakepads, bremob, 1991, 1992, 1993, 1994, 1995, 1996, 1997, 1998, 1999, 2000, 2001, 2002, 2003, 2004, 2005, 2006, 2007, 2008, 2009, 2010, 2011, 2012, 2013, 2014, 2015, 2016, 2017, 2018, 2019, 2020, 91, 92, 93, 94, 95, 96, 97, 98, 99, 00, 01, 02, 03, 04, 05, 06, 07, 08, 09, 10, 11, 12, 13, 14, 15, 16, 17, 18, 19, 20!